Acclaimed writer Christos Gage (Avengers Academy, Thunderbolts) joins New York Times best-seller Joshua Dysart (Harbinger Wars) and superstar-in-the-making Emanuela Lupacchino (Archer & Armstrong, X-Factor) to light the fuse on an explosive new chapter for Bloodshot and the Valiant Universe's most feared team of superhuman operatives! The world's most deadly soldier has a new assignment. 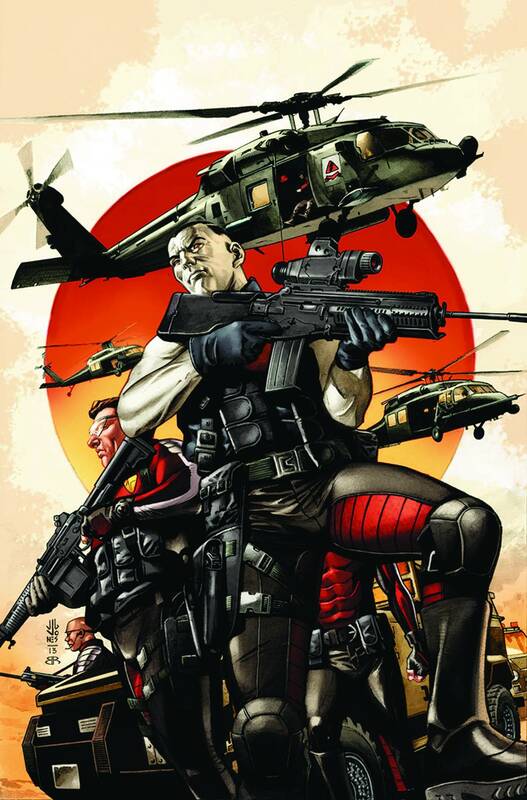 Out of the ashes of Harbinger Wars, Bloodshot is about to join the weaponized men and women of the HARBINGER ACTIVE RESISTANCE DIVISION -- the black budget, technologically-augmented strike force where the powers are dangerously unstable and every mission is a one-way ticket into the meat grinder. With a reluctant leader calling the shots and a new crop of untested rookies manning the frontline, Bloodshot is about to take H.A.R.D. Corps behind enemy lines -- and into a gasoline-drenched, synapse-snapping suicide run where no one is safe...and heroes always die trying.